The two go on a spa day and also on a cowgirl adventure. Now we know why Phaedra Parks joined Braxton Family Values this season. 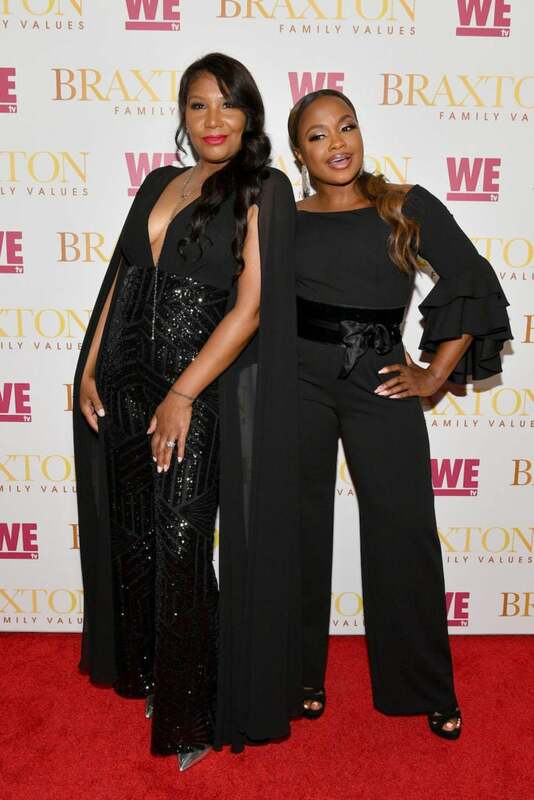 Traci Braxton told ESSENCE that she asked the former Real Housewives of Atlanta star to join her on a a wild adventure as the two head to Wyoming and South Dakota to learn about the history of Black cowboys and try their hand at herding cattle. The 46-year-old mother of one said that the trip came about after she’d fallen out with her sisters. It was reported back in July that filming for Braxton Family Values had come to a halt as the Braxtons were refusing to return until they renegotiated their contracts. “[We were] by ourselves, camping out, really learning about how cowboys survived. Learning about Stage Coach Mary, who was one of the only African-American women who participated in cattle herding, so it was really good. It was really good. I loved it,” she added. Flava Flav, Tiffany “New York” Pollard, and Kym Whitley also tagged along for the cowboy experience, although Braxton added that Flav was not a fan on horseback riding. To cheer herself up even more, Braxton gathered Parks, reality star Natalie Nunn, and comedian Luenell for a fun day at the spa. “It reminded me of my sisters. It was nothing but girls there and it reminded me of my sisters because we got to laugh with each other and cry with each other,” she recalled. Obviously, fans will get to see Parks and Braxton’s spa day and cowboy adventure in the show’s seventh season, but another big thing on everyone’s mind — the delay of her big sister Toni’s forthcoming wedding to Birdman. Although Braxton is just as in the dark about the wedding as fans, admitting that there’s no date, dress, or any sort of solid plan, she’s still looking forward to the big day.